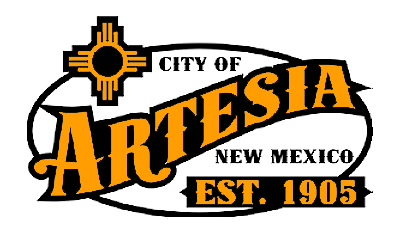 The Artesia City Council opted to align its policy regarding vehicle window tinting with the Uniform Traffic Ordinance (UTO) and heard from a Mahone Drive resident regarding parking along that roadway during its regularly-scheduled meeting Tuesday at City Hall. Police Chief Kirk Roberts addressed the council regarding the city’s ordinance on window tinting, stating that it had recently been brought to the department’s attention that its allowable percentage – the percentage of light able to pass through a vehicle’s window tint – differed from that accepted by the state via the UTO. While the UTO requires 20 percent, Artesia’s law was 35, or 15 percent lighter than the tint allowed by the uniform ordinance. Roberts pointed out it is allowable for municipalities to amend portions of the UTO according to their preferences or needs – as the city recently did in the matter of Off-Highway Vehicles on city roadways – but that the tinting discrepancy presented a few issues for the department. Roberts stated that if the city wished to keep the ordinance at 35 percent, the department would need to purchase additional meters to accurately check the level of tinting on vehicle windows. While it is required that tinted windows have some sort of label indicating the level of the tint, Roberts said many don’t, particularly those that have been tinted by individuals rather than auto shops. While Roberts pointed out window tinting of any level is considered a hindrance by officers, he said the department was ultimately comfortable with changing the law to align with the UTO. “Officers don’t like tinted windows,” said the chief. “Especially at night. It makes it difficult to see into a vehicle and see what’s going on inside a vehicle, so a darker tint… it doesn’t give you a warm, fuzzy feeling when you’re walking up to a car where you’re not sure what’s going on in there. The council approved repealing (B)(2) of item 12-1-3 of the Artesia Municipal Code and adopting 12-10-1.12 A (B) (2) of the UTO. During the public comment portion of the meeting, the council was approached by John Thurman, a resident in the 1100 block of Mahone Drive, who stated he and other residents of that street were currently circulating petitions regarding the city’s yellow-striping of the eastbound, two-lane one-way. Thurman said the petition calls for the city to cut Mahone down to one traffic lane, striping the south lane for parking only. He told the council residents’ families and friends must park along side streets and walk to their Mahone destinations during gatherings. Thurman also said he has seen Mahone used as a drag strip on a few occasions and that whereas his mother-in-law was issued a ticket for parking in the yellow-striped area in front of his home, attendees of the recent Balloons & Tunes Festival along Eagle Draw were not ticketed. “We like that the balloons are there, we don’t have any objections to that, but it rubs us the wrong way when you can have parking for that but you can’t when it’s less busy,” Thurman said. In other business Tuesday, Community Development director Jim McGuire informed the council landscaping – the final work phase – should be complete at the Roselawn Manor affordable housing project by Dec. 6, and work on the surrounding streets has been concluded. Landfair also said the three temporary water chlorination systems approved by the council at its last meeting have been ordered and will soon be installed, and that a town hall on the subject of the city’s decision to permanently treat its water will be held sometime in the early part of January 2018. Mayor Pro-Tem Terry Hill asked Landfair about the state’s progress regarding the installation of a traffic light at the intersection of First Street and Hermosa Drive. During the public safety discussion, Councilor Raul Rodriguez asked Roberts if the department could do more to educate bicyclists on the fact they are subject to the same rules of the road as other vehicles. Rodriguez said he had recently seen two grown bicyclists cross all four lanes of U.S. 285 from a side street without yielding to traffic. “(Bicyclists) need to understand they need to obey all the laws, and they can get cited for that,” said Rodriguez. In personnel business Tuesday, the council approved the hiring of Gabrielle Cronopulos as a Records Clerk I in the Finance and Administration Department at a pay rate of $2,249 per month; Uriel Marquez, wastewater assistant, $2,363 per month; Alfredo Orsornio, cemetery Equipment Operator I, $2,482; Brandon Hilley, wastewater assistant, $2,363; Benjamin Allen, wastewater assistant, $2,363; Clayton Herring, water technician, $2,363; and Kevin Schrader, wastewater lead operator, $4,000. Human Resources director Sandi Countryman said the city was fortunate to have Schrader on board as a needed Grade 4 operator for the Wastewater Department. The council also granted permission to advertise and fill the positions of community improvement technician and receptionist, and approved the city’s 2017 Safety Pays payout. Safety Pays awards bonuses to city employees based on their safety records during the year. • awarding a Request for Proposal to provide engineer design and inspection services for Phase II of the Infrastructure Recovery Program (Hermosa Drive to 26th Street) to Smith Engineering of Roswell. • a contract with Jive Communications under the CES Contract to purchase a city phone system. • the resignation of Tony Wolf, community improvement technician, effective Nov. 24. • the resignation of Tieler Palmer, receptionist, effective Nov. 24. • permission to hold a public hearing Jan. 9, 2018, for adoption of an ordinance approving a Public Participation Agreement between the City of Artesia and Chase Petroleum Service and Supply. • permission for one police employee to attend the continuation of a disciplinary hearing in Santa Fe. • permission for one police employee to attend Critical Incident Training in Roswell. • permission for one police employee to attend the 2017 New Mexico Law Enforcement Conference in Albuquerque.